Organic flannel sheets that are sure to keep you warm and comfy. 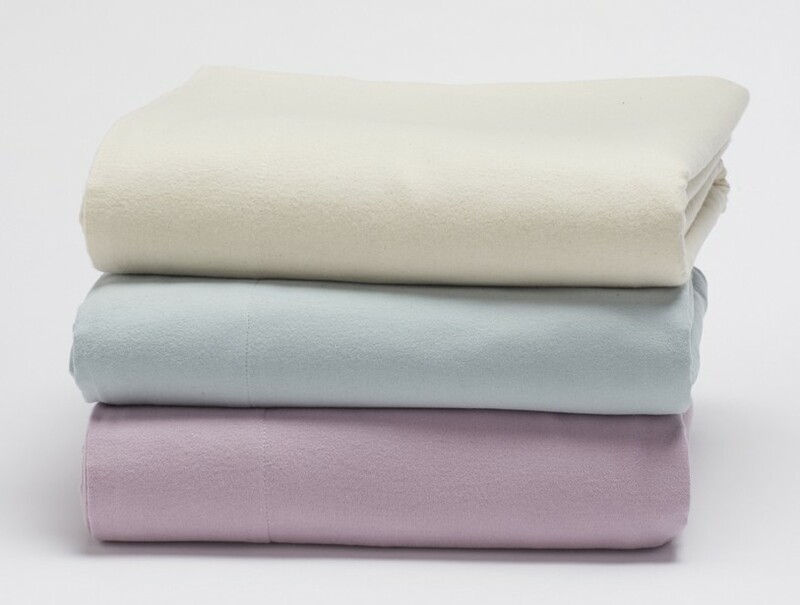 Made from durable, thick cotton flannel and brushed many times to generate an incredibly soft feeling sheet, you’ll be happy you’re sleeping under these organic cotton flannel sheets on a cool night. These weighty six-ounce sheets are luxuriously comfy and warm. Thick cotton flannel, brushed many times to generates an incredibly soft hand. 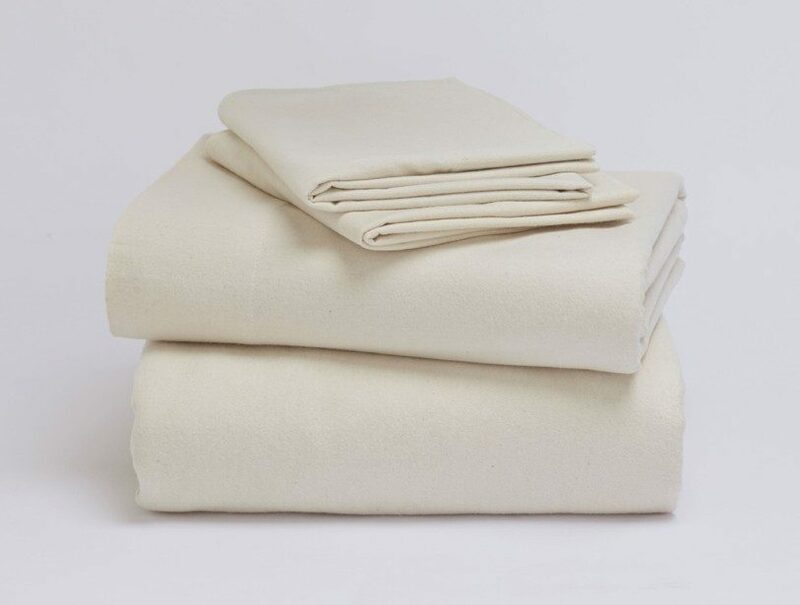 These weighty six-ounce organic flannel sheets are luxuriously comfy and warm. The flat flannel sheets and pillowcases have a 4″ self-hem. The fitted sheet has a deep 15″ pocket and full elastic around the bottom for an easy fit. 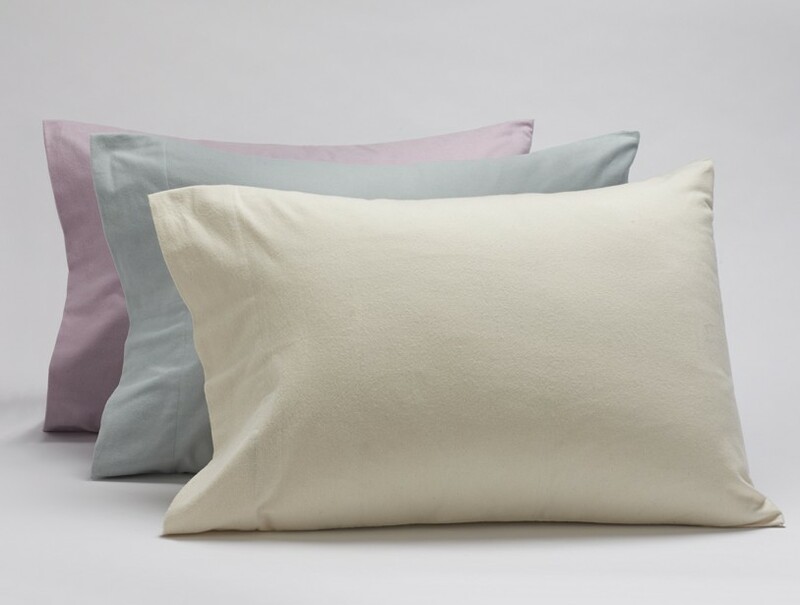 Set includes one flat certified organic flannel sheet, one fitted organic cotton flannel sheet and two pillowcases, also made from certified-organic flannel. Twin set includes one pillowcase. The cotton used to create the sheets is 100% organic, sourced and woven in Portugal before being shipped to the United States.